While working at Loud & Clear I created a sprawling, multi-platform campaign for Australian comedy/horror film 100 Bloody Acres, written and directed by The Cairnes Brothers. 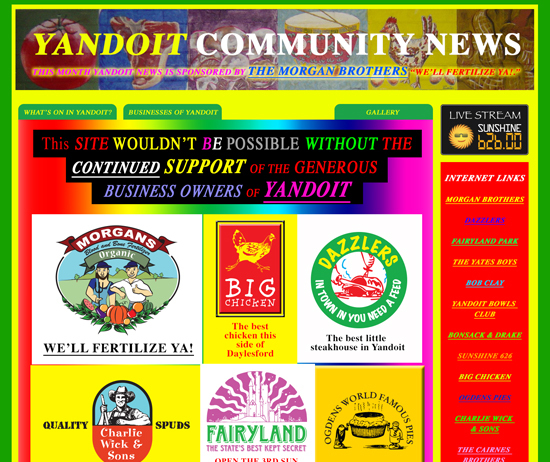 morgansorganic.com presented users with an intricate, interactive 8-bit landing page for the brothers’ fertiliser business created by pixel artists eBoy. 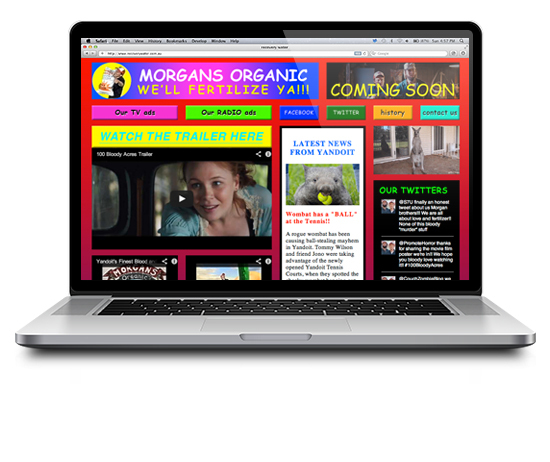 The campaign gave users a slice of the Morgan’s Organic brand, anchored firmly in “retro” design and small-town, lo-fi advertising. 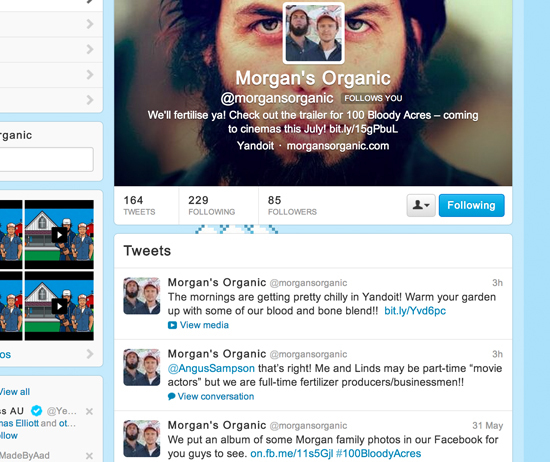 The Morgan’s Organic homepage is supported by a sprawling, transmedia world, including a homepage game, character-based Twitter and Facebook accounts, a network of fake news and community websites and a wealth of lo-fi video and radio content. The site was launched as a 2 part site with version 1 designed by eBoy which was a teaser into the world of the movie characters, without directly mentioning the movie. Part 2 was “designed” as a more overt journey through the town of Yandoit and the world of 100 Bloody Acres. 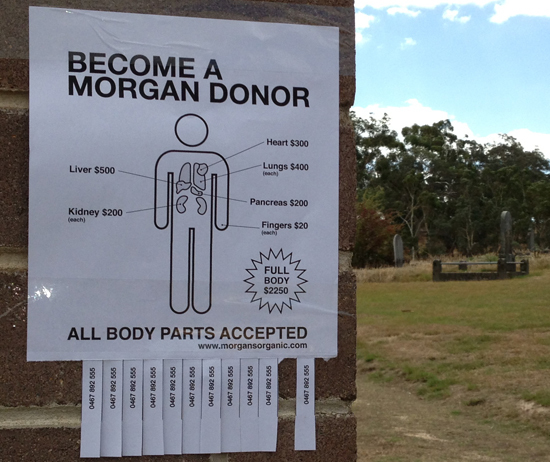 We also created an experiential campaign where people were invited to instagram body parts and get an instant appraisal. As the release date grew close we sent out a severed finger to influential bloggers and reviewers containing behind the scenes footage and interviews.